We Go Beyond Dental Care. We Care For You! We Give You An Exceptional Experience At Every Visit! Our Practice is Our Home; We Want You To Feel Like Part Of The Family. including Preventive Care, Family Dentistry, General Dentistry, Cosmetic Dentistry and more! 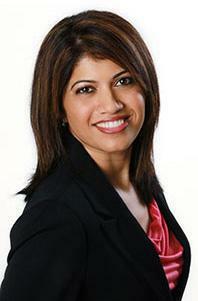 "I am very happy I found Dr. Gowda and highly recommend her office." "Amazing service...so organized, professional, and prompt. " "Thank you Dr. Gowda for creating such a warm and welcoming environment!" Perfect Smiles Dentistry in Everett, Washington is committed to providing patients with the most comprehensive and personalized dental care. With a focus on services relating to preventive, family, general, and cosmetic dentistry, Kavitha Gowda, DDS, and the team at Perfect Smiles Dentistry understand that it’s not just a symptom you’re trying to fix, it’s the cause that you’re both hoping to identify and treat with razor sharp focus. That’s why the team offers dental services to patients of all ages and fosters a welcoming, safe, and inclusive environment in which you can feel right at home. Through personalized treatment plans, the team of expert dentists ensures that your dental care perfectly aligns with your lifestyle, with as little inconvenience as possible. To do so, the team values open communication between you and your provider. You’ll have the opportunity to discuss anything that’s on your mind during your initial consultation, which not only allows your provider to develop a meaningful and long-lasting rapport with you, but also to identify precisely the right treatment. Perfect Smiles Dentistry is your dentist in Everett WA, where we do our utmost to give you an exceptional experience at every visit. No matter the age, we make every patient feel comfortable and treat you how we want to be treated. Our practice is our home; we want you to feel like part of the family. We will create a comprehensive treatment plan, together with you to help you achieve your oral health goals and create the beautiful smile you have always dreamed of! We can take care of most dental emergencies in house and have the flexibility to accommodate last-minute or emergency appointments. Call us for your emergency dental appointment. Professional whitening is a simple, fast, safe way to get a great-looking smile. Not sure if whitening is right for you? Check out these eight benefits. Have you lost a tooth and are wondering whether or not you should replace it? Read on to learn why replacing a missing tooth won’t just help your smile, it will help your oral health as well. Can gum disease increase your risk of developing other health conditions? Research says yes. 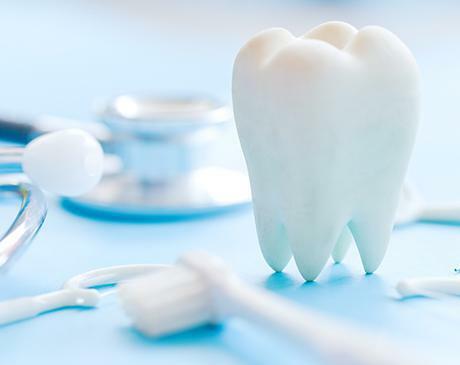 Find out more about the link between gum disease and other health conditions and how your dentist can reduce those risks by restoring your gum health. "At Perfect Smiles Dentistry, Dr. Gowda and her wonderful staff will treat you with care, consideration and make you feel like you are a family member. Highly recommend!" "Great dentist and staff really make your visit enjoyable. They made sure I was comfortable, explained everything I needed to get done in detail." "Kavitha Gowda is very knowledgeable and does great work. The team made me feel comfortable and relaxed. I've been very pleased with all my visits." "Dr. Gowda is amazing. She is thorough in explaining everything and takes great care in making sure you feel comfortable through the entire process."